One of many Catherine Britt Parlour Gigs happened in Hexham, NSW, featuring some incredibly talented dancers! 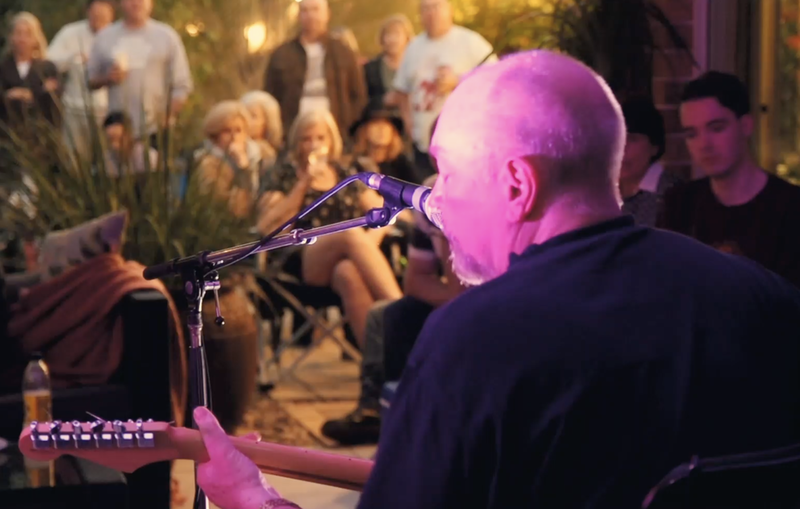 A featured gig with Ed Kuepper of The Saints, playing an intimate Parlour Gig in Queensland. All Our Exes played a pack out show at Brigid's place in Ascot Vale, VIC. Complete with Irish Dancing, 'the worm' and a couple tunes by the host herself, it was an absolutely magical evening. Here is an amazing live performance from Mia Dyson, of her song off her latest records, Gambling. Enjoy! 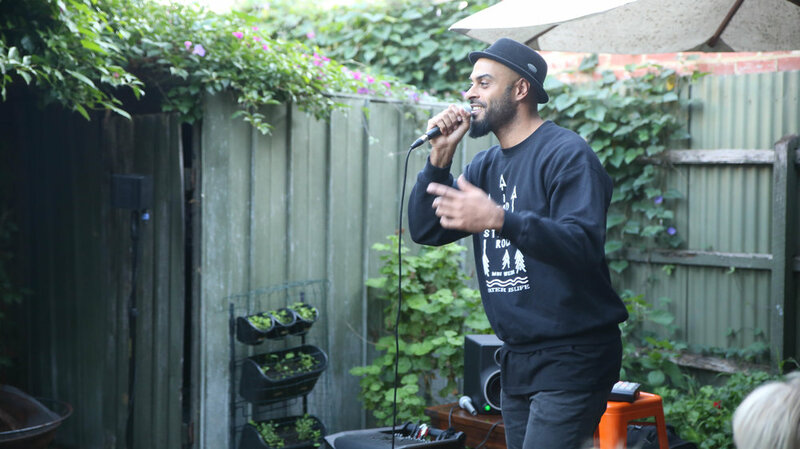 Jodi & Trish from The Clouds played an intimate show in a backyard in Sydney. What a night! Jordie Lane & Clare Reynolds are back for another run of Parlour shows in 2018! They have been hitting up backyards all across the country, playing a diverse range of backyards. 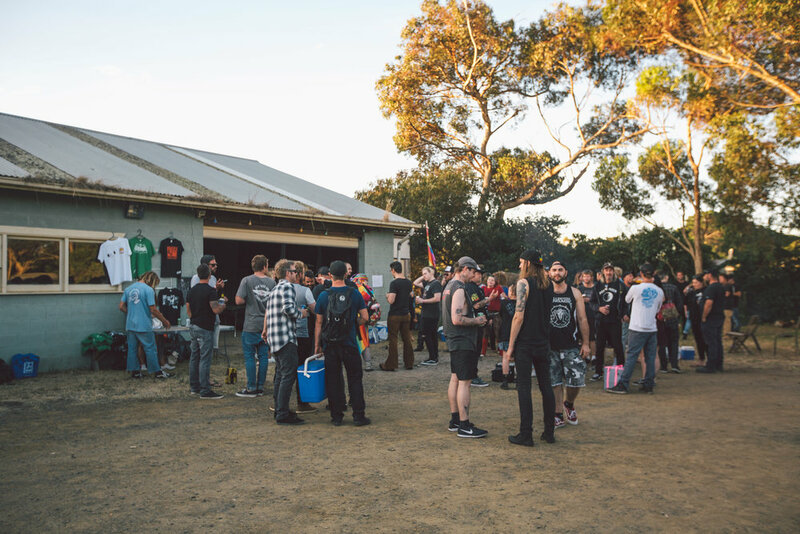 Steve Kilbey spent a sunny Sunday chilling out with some lovely humans in Melbourne, playing some tunes and eating plenty of food off the tasting table! Trumpeter and singing wonder, Harry James Angus, has had an incredible run of Parlour shows, playing songs of his new concept piece, Struggle with Glory. Here he is playing I saw red at a house in Thornbury, VIC. Lisa Mitchell performing California by Phantom Planet off her 90s EP. Happy Vibes in Preston, Melbourne! Get Little Georgia over to your place for a Parlour gig! Didirri played a super lovely Parlour Gig at Brenna's place in Brighton, with special guest Ro. Watch them above, warming our bones on a chilly evening. 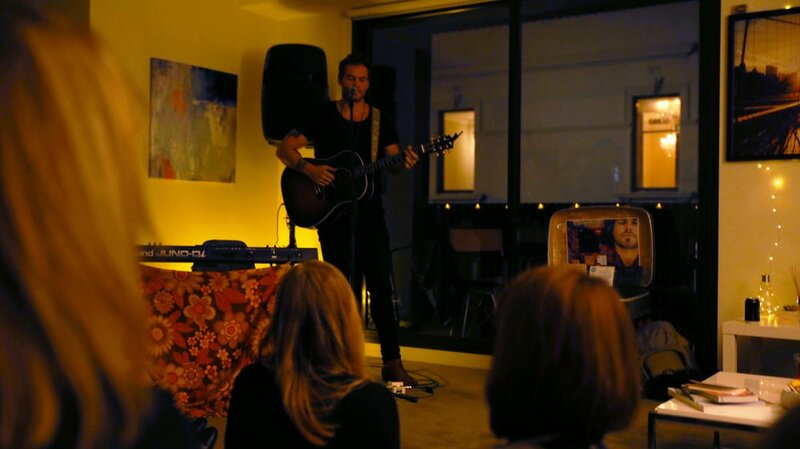 We had the pleasure of hosting Jack Carty at our place for a Parlour Gig recently. 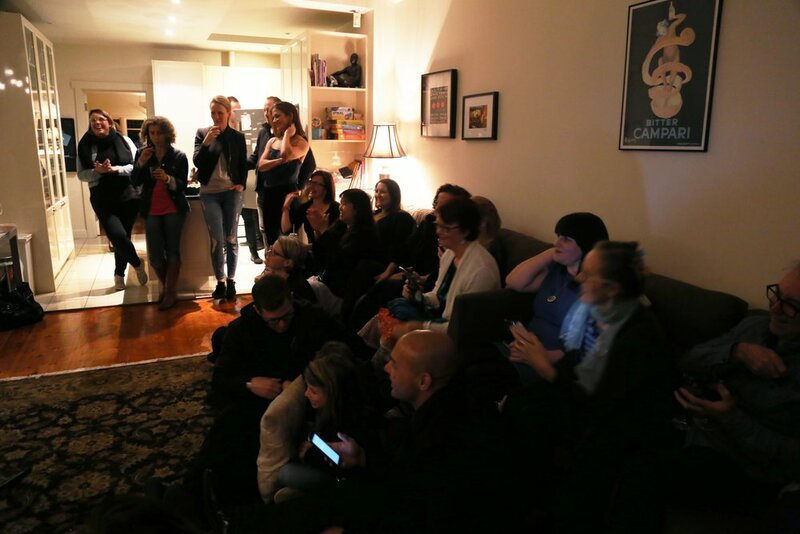 A reshuffle of the furniture allowed for 60 of our family members and friends to squeeze into the lounge room for what proved to be an unforgettable night. Jack came into our home and we felt like we'd known him for years, chatting about footy, travelling, family, and of course, music. After our guests arrived, Jack was happy to chat and get to know everyone, even offering to help with the serving of food. The 'bring a plate' option worked well for us, and between the sushi, meatballs, pizzas, brownies and cheesecake, we had enough to feed everyone for a year! Finally, Jack headed up to our makeshift stage strung with fairy lights and candles, and treated us to an amazing performance. For the next hour or so, Jack had us in the palm of his hand, not only with his music, but with the stories and humour that went along with his songs. Some songs were sad, some were happy, but all of them were performed to a hushed audience, captivated by his incredible voice. 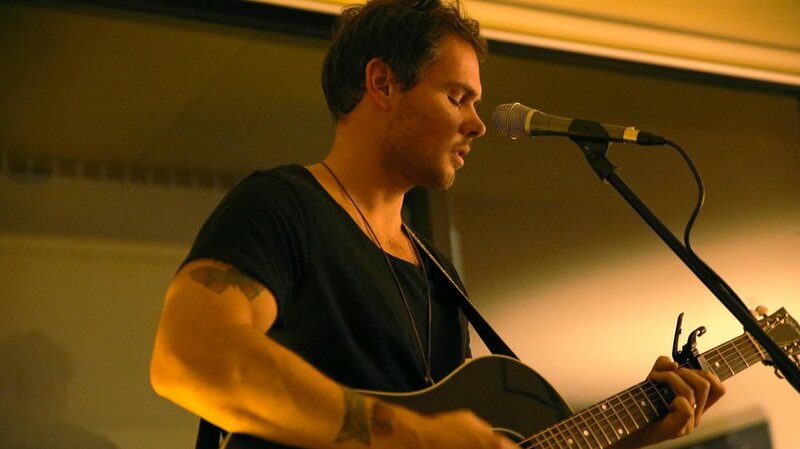 We heard all of his favourites, and even a couple of new songs - it was a shame our private, intimate concert in our home had to come to an end. Jack put his guitar down and continued to mingle with our friends, many who had never heard him play before, but were now Jack Carty fans. The feedback we received from family and friends confirmed that this night was truly something special. Parlour Gigs were a pleasure to communicate with, and were willing to answer any of our questions via email. 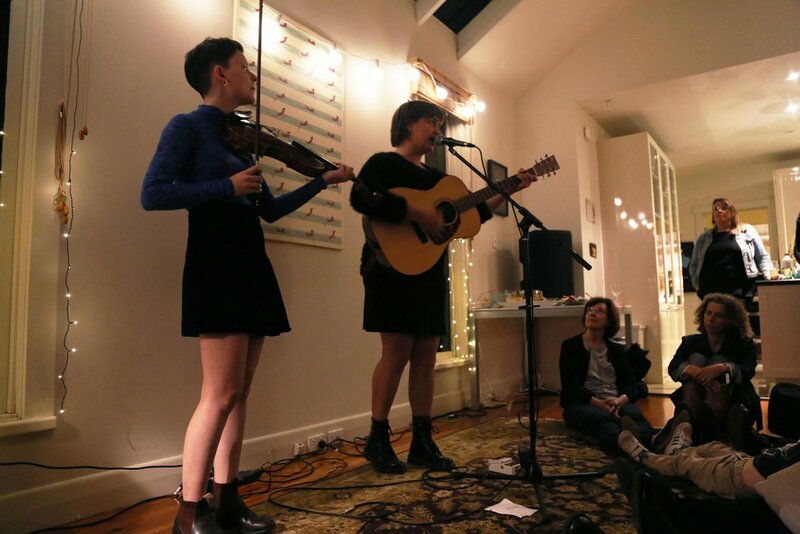 We would certainly consider hosting a Parlour Gig again. It gave us the opportunity to connect the music we love with the people we love. 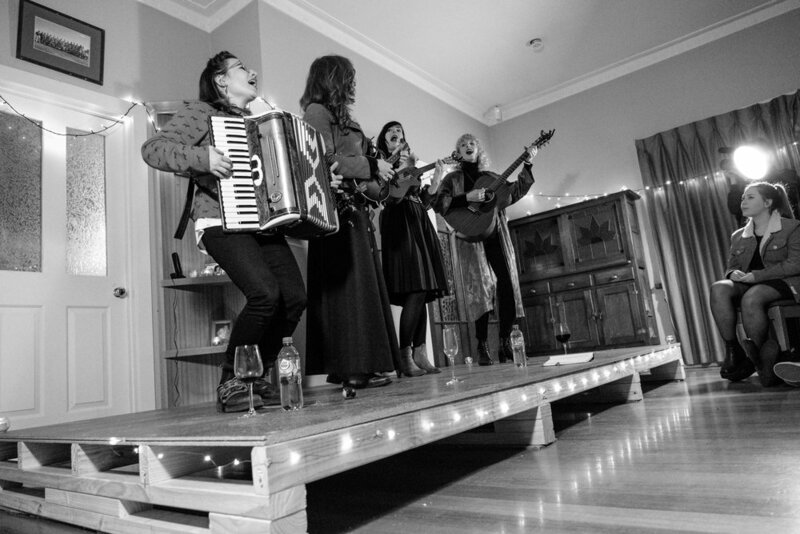 We are so glad we decided to host a Parlour Gig in our home - it was a truly memorable and magical night. At the ripe old age of 18, Gretta Ray has blown us away with her musical talent and maturity, by releasing one incredible song after the other. Here she is, playing an intimate gig at a Church in Watchem last month for Parlour. A huge thanks to Jarrod for hosting this event! Want to host your own Parlour Gig? Check out our featured artists for your chance. Oh Pep! 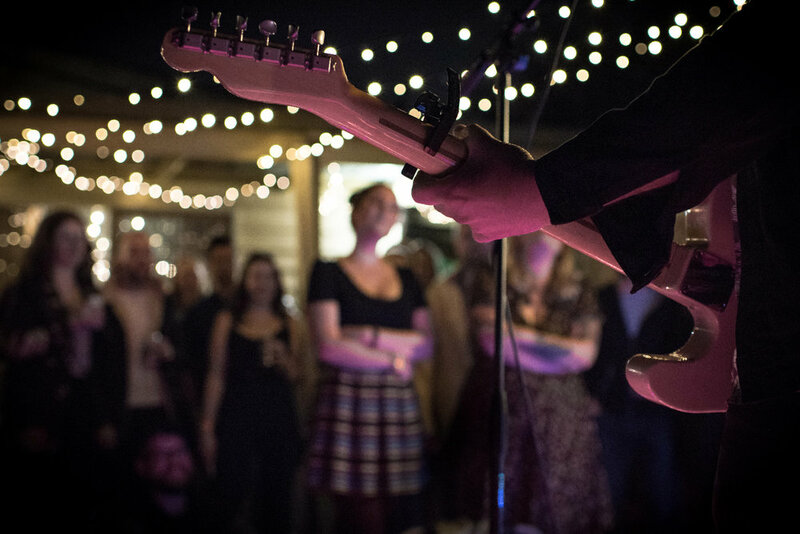 are just one of those bands that, without fail, blow you away every time you see them, and their last run of house concerts with Parlour was no exception! The new tunes Liv and Pep played were an exciting taster of the album to come and the news of playing Glastonbury is a much deserved accolade. Happy birthday to their first album, Stadium Cake! Huge thanks to Christina, Richard and Jennie & Jenni for hosting! and host your own Parlour Gig! 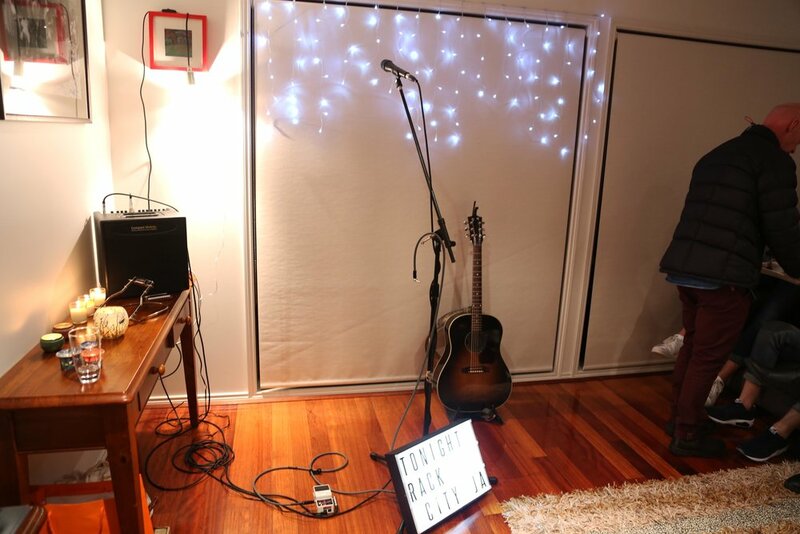 Benny Walker played to an apartment full of peeps in Richmond last month, check out the result! Thanks to Benny for a great tour and to Katie and all the other hosts and guest. 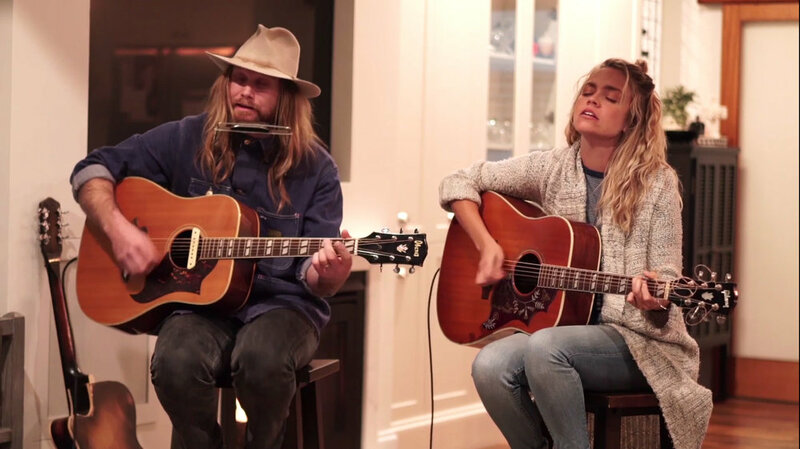 Jordie Lane & Clare Reynolds have been in more backyards than your average landscape gardener, playing a stellar 23 Parlour Gigs around this great country.